Most boats get delivered with two sails, which is really all you need. Or is it? There are so many other sails out there that can be deployed to cover a range of wind conditions. 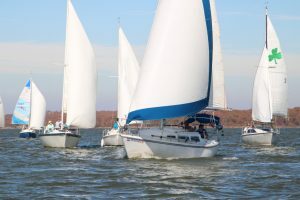 Learn about a variety of sail types and how to set them, trim them, and douse them from the winner of the Spinnaker division, none other than our own Phil Moershel. Following the program will be a group discussion on where to buy sails online when you’re ready to make some additions to your sail loft.